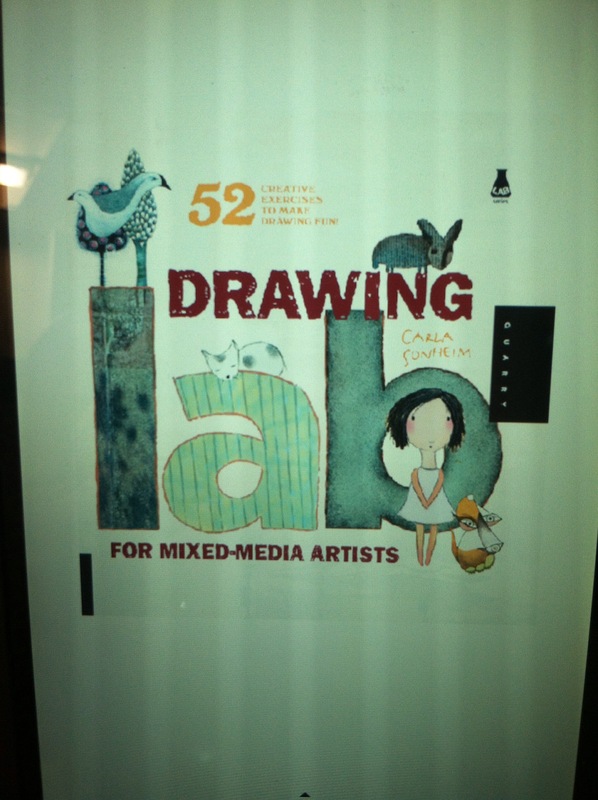 A while back I purchased a book called, Drawing Lab For Mixed Media Artists by Carla Sonheim. I bought it on my Nook and them promptly forgot about it probably because I had the little ones to contend with and didn’t have much time for making art. 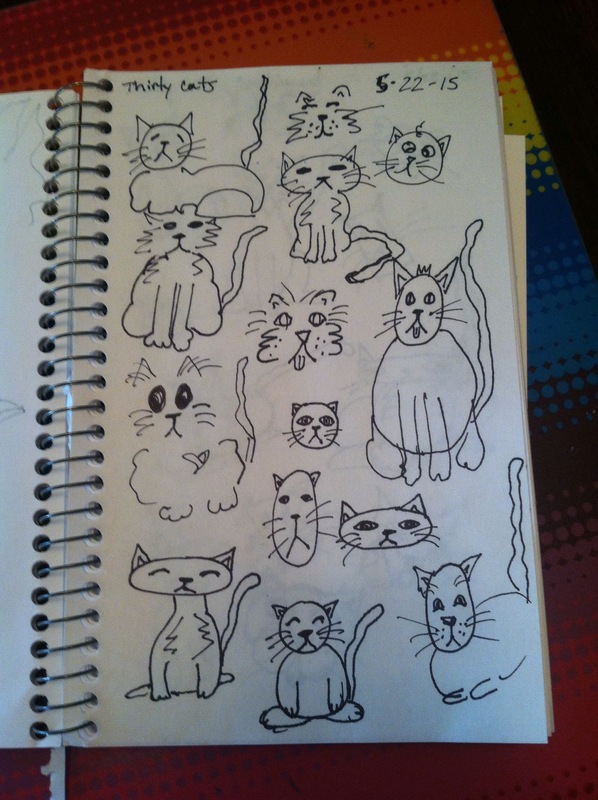 I rediscovered it Yesterday and did the first exercise today which was to draw thirty simple line drawn cats and then pick one to make into a piece of artwork. I enjoyed the prompt more than I thought I would. I am excited to see what else this book pushes me to do. 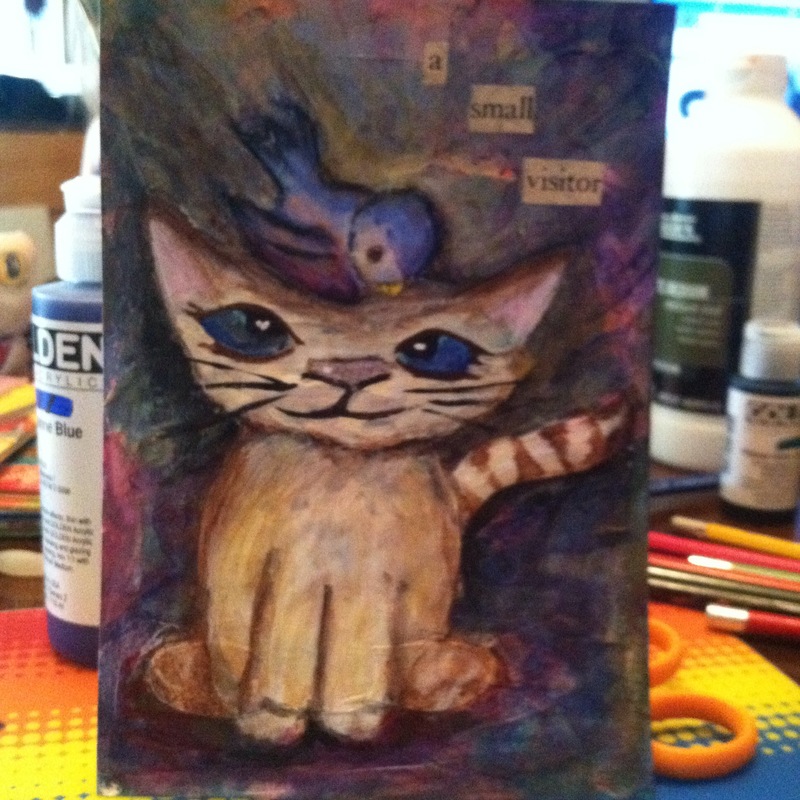 I had a good time making this little guy and look forward to doing more creative things. What a cute cat!!! Great job! Thank you so much. I had a good time. Lovely painting of cat.I love it. 🙂 Thanks. 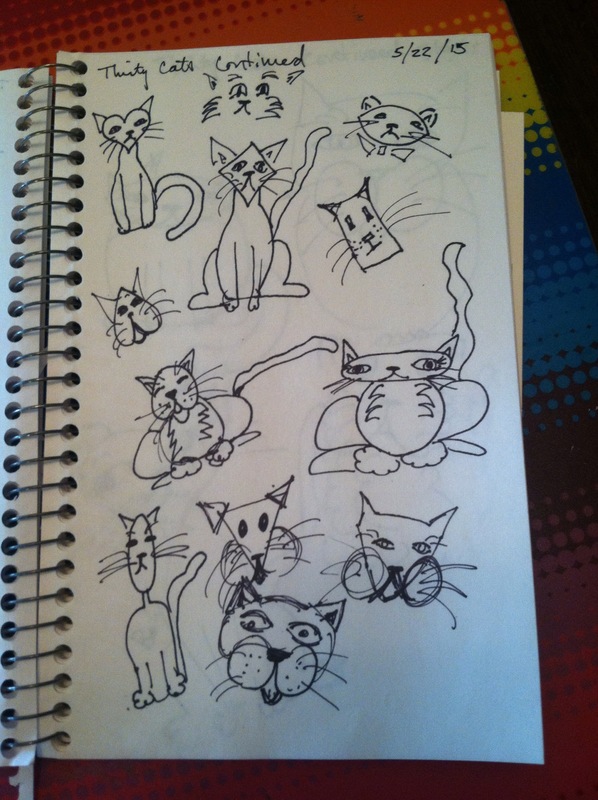 Cats are a fun subject. Thank you. I just discovered her through her book. She’s in Seattle, practically a neighbor. 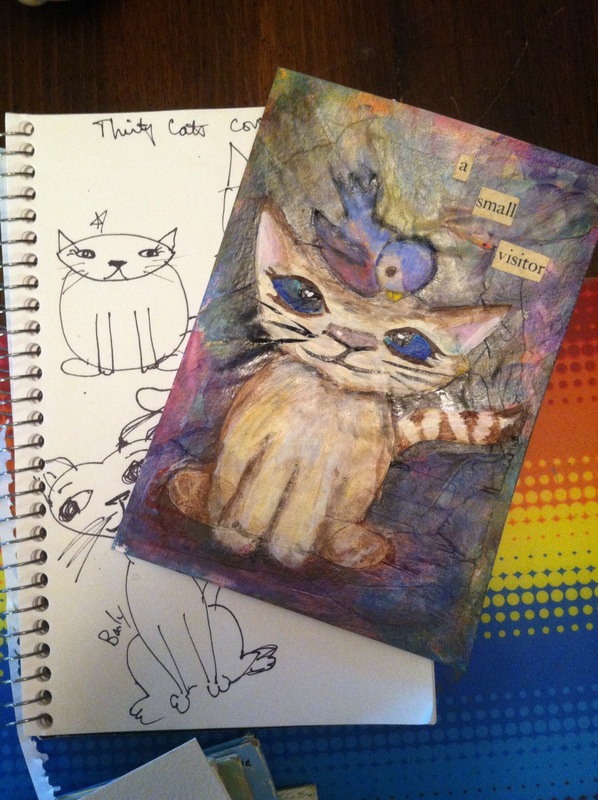 I love her website and her artist colleagues; great classes and outings–fun bunch.